Total LifeSafety Corporation offers both residential and commercial security alarm systems. In helping you determine which system and plan are best for your specific needs, we will conduct a complete evaluation of the property and present you with a plan that will best fit your needs and budget. During this evaluation, we locate all of the vulnerable entry points and explain the best way to secure them. Your protection and safety are our goal. The central station monitors your alarm system 24 hours a day and is staffed with highly trained operators to assist in the dispatch of the local authorities if necessary. Our central station is UL listed, with dual backup generators and phone systems. In addition, they are located in three states in order to reroute calls in the case of a storm, hurricane, or other natural disaster. Most new homes have an alarm system that was installed when the home was built. For older homes, we can install a wireless system that uses battery-operated transmitters and requires very minimal wiring. Since 1978, CMS has been providing high quality monitoring nationwide. Today, Criticom Monitoring Services (CMS) is the largest wholesale alarm monitoring company in the United States, serving more than 3,500 alarm companies and their 800,000 customers. Our broad range of monitoring services includes response to security, fire, Personal Emergency Response Systems (PERS), environmental and interactive services such as two-way voice and remote video. Our three UL Listed, FM Approved monitoring centers, located in California, Florida and New Jersey, are networked together to provide true national redundancy and best-in-class disaster recovery. Monitoring services are the heart and soul of the security business, so our resources, infrastructure, technology and know-how equate to a higher comfort level with added redundancy. • The alarm system starts with the control panel with a backup battery power supply and a telephone interface. The panel can be expanded to add multiple zones. 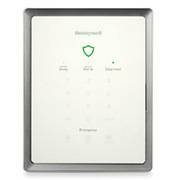 • Keypads are used to arm and disarm systems as well as check the system status. • Sirens are used to alert you and your neighbors of a breach in the system. • Motion detectors are used to cover interior rooms and hallways. Pet immune motion detectors can be used when dogs or cats are present. • Doors and windows have contacts on the frames that will trip when opened. • Other detections devices that scan for smoke, heat, carbon monoxide, glass breakage, and sound can be integrated into the alarm system. • Panic buttons and wireless key fobs are also very popular and convenient devices for both homeowners as well as business owners. • Our mobile app provides the capability to easily monitor your security system from anywhere. Total LifeSafety Home Automation will allow you to control and monitor home access, view live video feeds, and oversee home heating and cooling from anywhere, anytime via secure web access. Manage your entire home with one fully integrated system from Total LifeSafety which includes the following equipment and features:. Click here to learn about our Total LifeSafety Corporation’s Access Control! Our service technicians are available 24 hours a day, 365 days a year, equipped and ready to service your burglar alarm system. Total LifeSafety Corporation employees are FASA/BASA and factory certified to handle most any burglar alarm problem you might experience. Keeping your family safe and giving you peace of mind is one of our highest priorities. We know that life safety is the basis for fire monitoring. We offer complete fire protection services for your customers. Commercial Fire Monitoring offers dispatch upon receipt of a fire alarm signal and customizable notification on troubles, supervisories and missed timer tests. Signals are received on our dedicated UL receivers, meeting UL standards for alarm signal traffic management. We strictly follow NFPA 72 Guidelines for fire accounts ensuring best practices are followed. Specially trained UL certified operators and dealer support representatives handle UL Fire accounts and comply with the local AHJ. Call us to talk about UL Certificates. Using UTC Mastermind, fire signals are assigned to operators with specific fire training to respond to commercial fire/NFPA fire signals. Only operators who have passed our training for UL Fire respond to UL Fire accounts. Fire signals hold the highest priority in our monitoring platform, Mastermind. Do you want a DIY home security system? Check out our Honeywell Lyric Gateway! 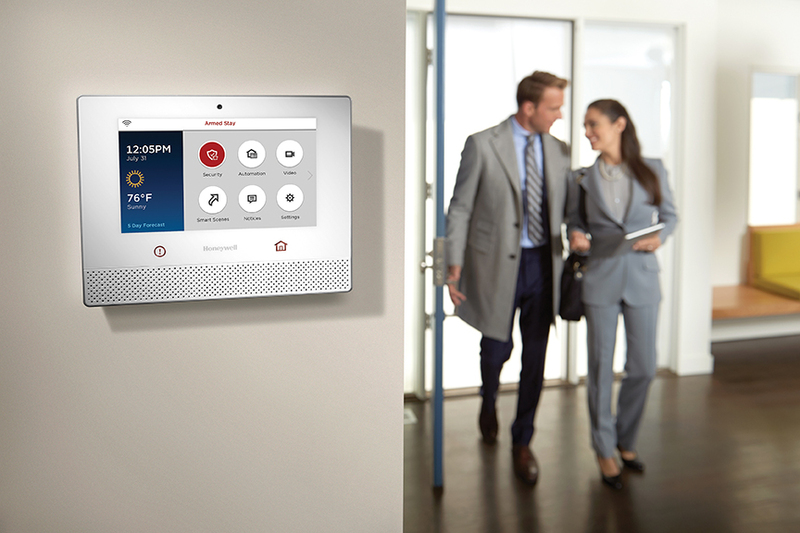 Total LifeSafety Corporation's Honeywell Lyric Gateway is the perfect fit for your DIY home security! 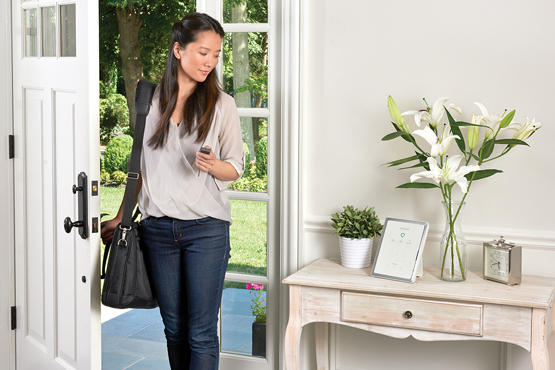 This security system pairs with both your phone and apple watch, it has built in voice guidance, and will turn your home from a basic home to a smart home! Enter your name and email to receive more information!